On my way… the landscape reveals a beautiful evening along the south shore of Lake Wanaka in the South Island of New Zealand. 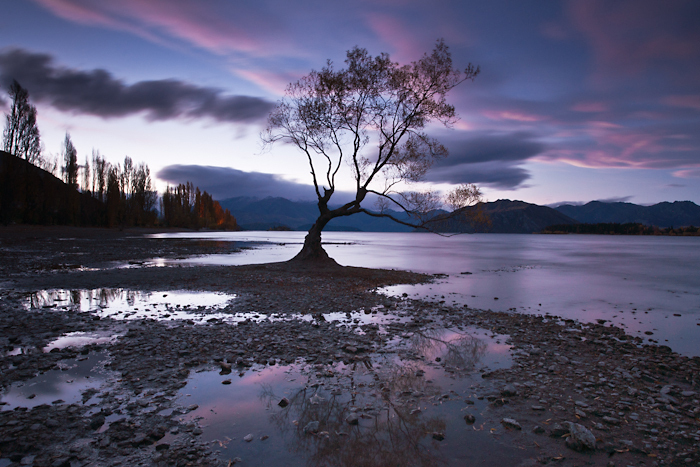 This tree has become an iconic subject and is often the the centre of interest for thousands of photographers who visit the town of Wanaka. The trick is to try and capture the light and the landscape that connects in a different way.